Pandora's Secret is a sound performance written for Isabel Ettenauer's CIRCUS LEBASI which had 15 performances during the festival LINZ09 - Cultural Capitol of Europe. In a wooden tent, a miraculous circus takes place which doesn't engage any animals (except a cymbal playing toy monkey...). Instead, two clowns / jugglers and soloist are acting, and the real attractions are not acrobats, but the music. 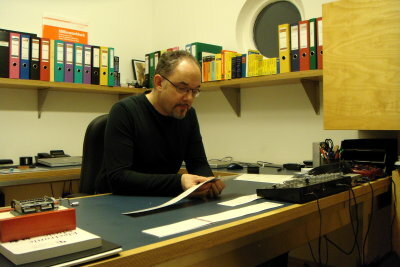 In June 2008 some soloists playing different instruments came together for a concert at the Alte Schmiede in Vienna to perform of a number of brand new Sequitur pieces by Karlheinz Essl. Sequitur is a series of pieces for solo instruments and live electronics. On that evening I was happy premiering Sequitur V for toy piano and live electronics, together with the composer. Karlheinz himself was also performing on the electric guitar and later in the evening played a piece called non Sequitur for music box and live electronics. The piece and the composer's comical interpretation immediately appealed to me. At that time I was already working more than one year on the preparations of my CIRCUS LEBASI, a clownesque evening programme for a toy piano soloist, two jugglers/clowns and a nine-piece band, which was a commission by Linz09 - the European capital of culture in 2009. It occured to me that such a piece for music box and live electronics would fit very nicely in my Circus programme in which I would mainly play music for toy piano. 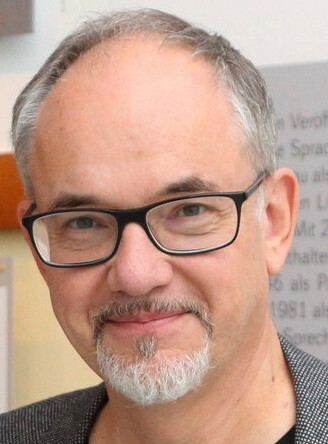 When asking Karlheinz what he thought about this idea it turned out that the performance of non Sequitur was mainly improvised and could not easily be "repeated" by another performer. 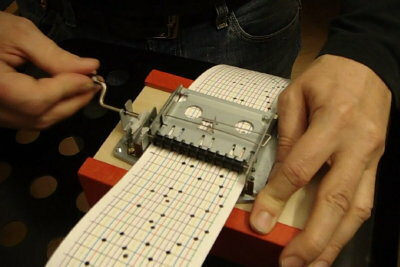 After thinking about it Karlheinz later had the idea of composing a new piece which would use the material I was so interested in: the punch-tape controlled music box and live electronics. So it happened that Linz09 commissioned Pandora's Secret for my CIRCUS LEBASI. The piece starts when the performer finds a beautiful present on a table. In fact in the actual performace of CIRCUS LEBASI it is one of the clowns who happily presents a beautiful package with a brightly colored paper and a huge red ribbon around it to the performer. The Circus lady in white tails sits down and starts investigating the package. As there is a small contact microphone inside the package (on the music box) all the sounds made are already amplified and going through a special electronic programme. It takes a while until the performer manages to open the package discovering a wooden box and four punched tapes. Playing around with the wooden box it turns out that the top part opens up. Inside that top part there happens to be a music box ("Spielwerk") with a crank. The performer tries out all sorts of sounds, also winding the crank in the "wrong" direction. Through the whole piece all produced sounds always run through the electronic programme and are also regulated with a small MIDI controller. After a while the performer discovers the punched tapes. She carefully looks at the first one and tries to put it through the music box. 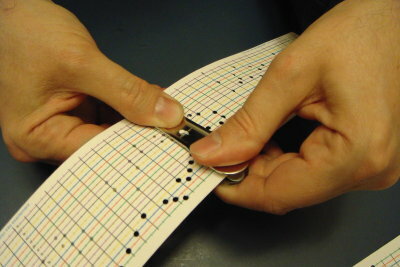 Only after finding the "right" direction of winding the tape starts to move into the music box producing single notes. Later the music gets more and more intense producing long arpeggios. The Circus lady enjoys all the different sounds and is surprised what comes out of her little wooden music box. She is very happy and amazed by it all until the very end of the fourth punched tape when everything gets extremely loud and shrill so that she covers her ears with her hands and ducks her head until the sounds start to disappear. That's when the piece ends. NB: All the actions in the piece are written down in a score which describes the various activities as well as what the performer has to do with the MIDI controller regulating the various effects. 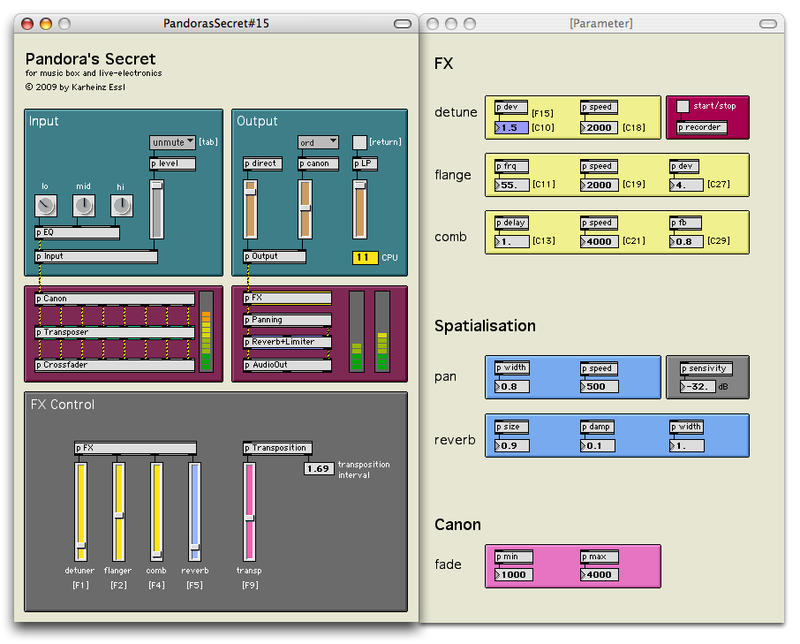 The score of Pandora's Secret (translated into English by Isabel Ettenauer) can be downloaded for free. Please note that the music is protected by copyright.